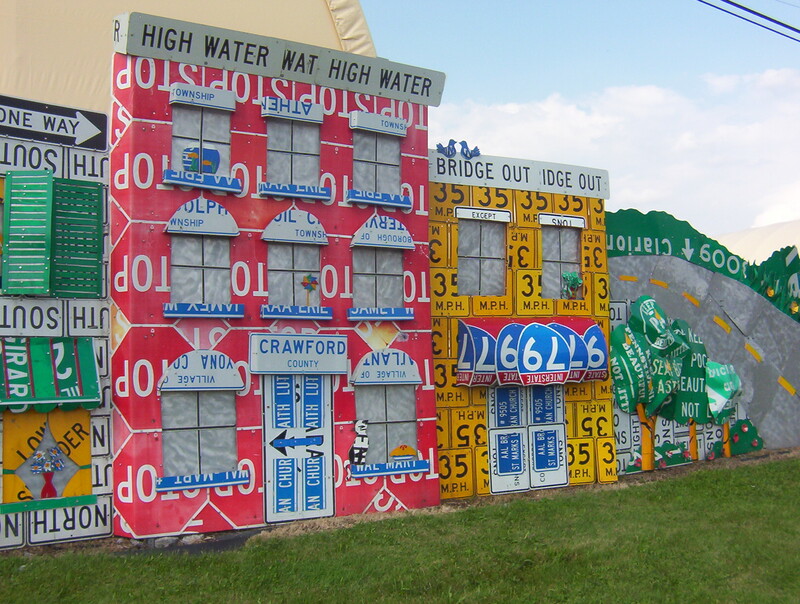 If you find yourself driving along Interstate 79 between Erie and Pittsburgh someday, you’re invited to stop off in Meadville for a unique sort of art exhibit: Read Between the Signs. 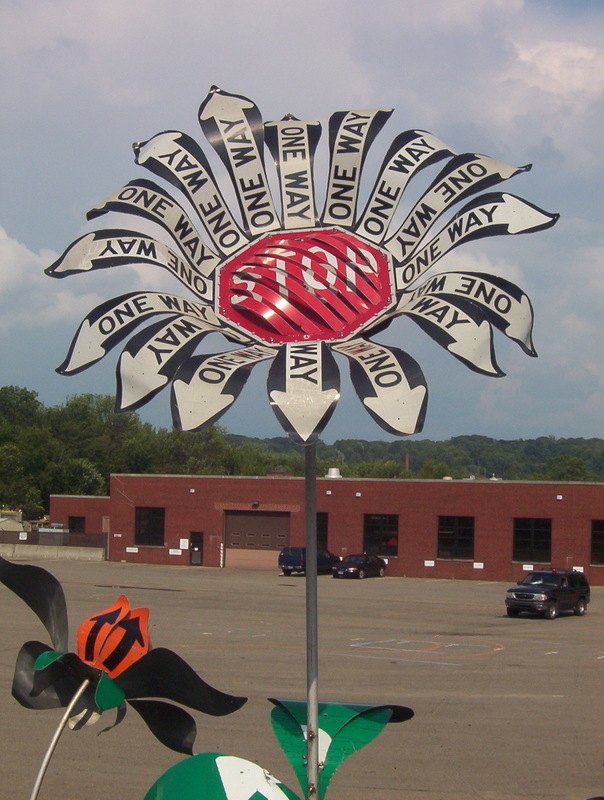 The first line you’ll notice, just a few blocks east of the Interstate, is a beautiful garden of giant flowers created from discarded road signs. They’re right in front of the PENNDOT parking lot, so there’s room to pull off the road and thoroughly admire them. 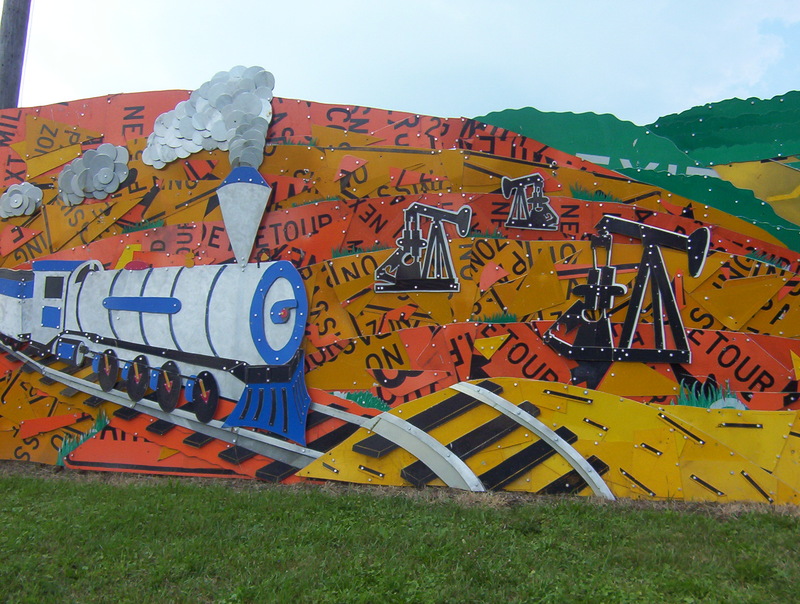 The project comes from the Arts and Environment Initiative, and artist/Allegheny College professor Amara Geffen. 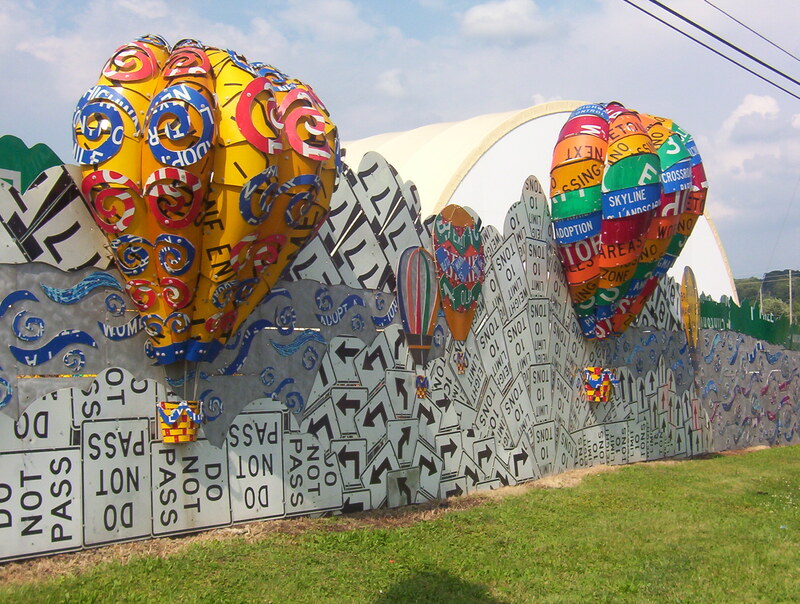 She and her students have been the primary constructors of the flowers and accompanying 1,200-foot panel that stretches along US 322 since 2002. 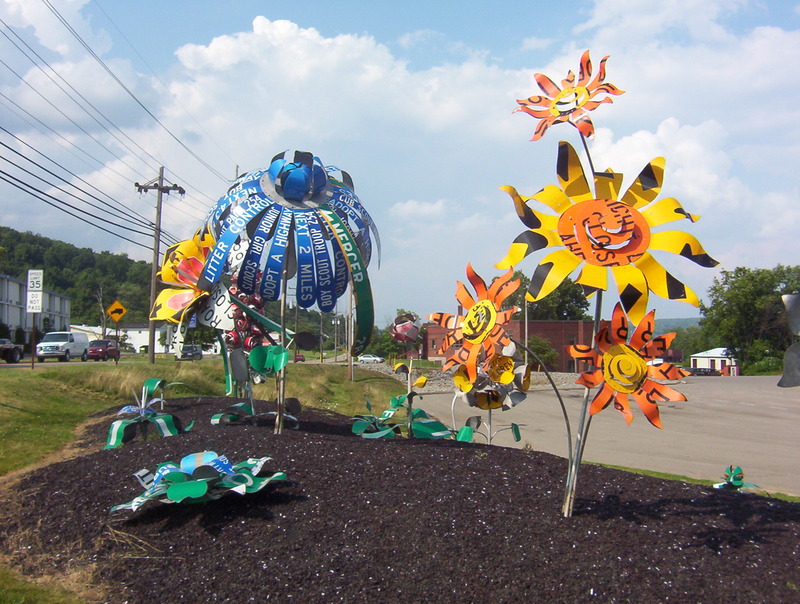 There’s no cost to stop and view the exhibit, either at the PENNDOT lot or at the shopping center lot across the street, so it’s a great way to add a little color and repurposed, recycled art into your day! 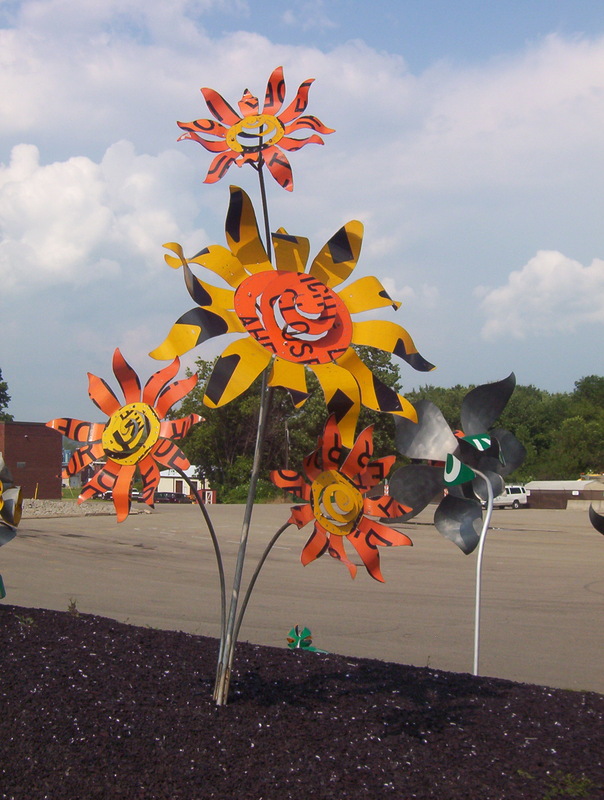 For more information on how the project expanded beyond the flower garden, see Amara Geffen’s discussion here. So stop by and enjoy!